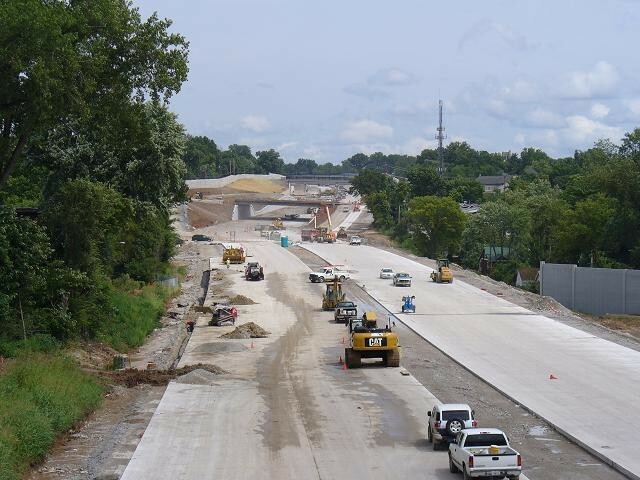 Highway 40 (I-64) as pictured last August. I know a couple shop owners in Clayton who might argue otherwise, but according to a study by MoDOT the massive, two-year closure of I-64 did not significantly impact area businesses. The survey conducted by HDR Consulting, found that there wasn't much difference in the operations of companies near the highway and those elsewhere in the St. Louis area. Rather the study concluded that the sour economy had a greater overall impact on businesses than the shutdown of the highway.